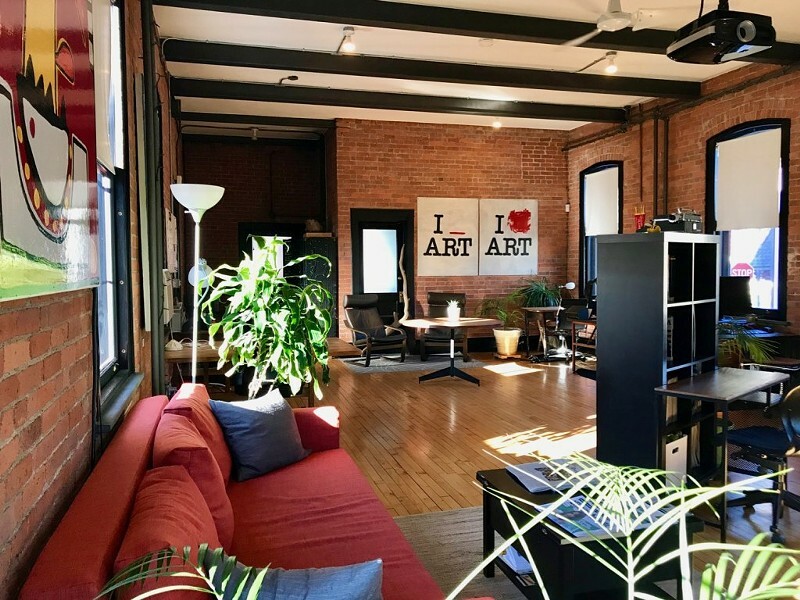 Calling all freelancers, digital nomads, telecomuters, and giggers—here is a roundup of six of the best Hudson Valley coworking spaces for the modern work life. According to a 2018 article by Forbes, a third of all American workers are freelancers, and by 2020, that number is expected to rise to half. While the gig economy is doing wonders for the Millennial generation, it is a new workscape to navigate, replete with its own complex topography of benefits and challenges. There are days when it’s lovely to work from home and days when you feel like a drained car battery, unable to jumpstart your productivity solo, with distractions tempting you at every turn. Aah, the double-edged sword of independence and flexibility. Why not make coffee? Why not check the mailbox? Why not cruise social media? Freelancers, independents, and telecommuters are compelled to generate the momentum and focus that a traditional workplace implicitly offers through a complex blend of social control, collaboration, and validation. 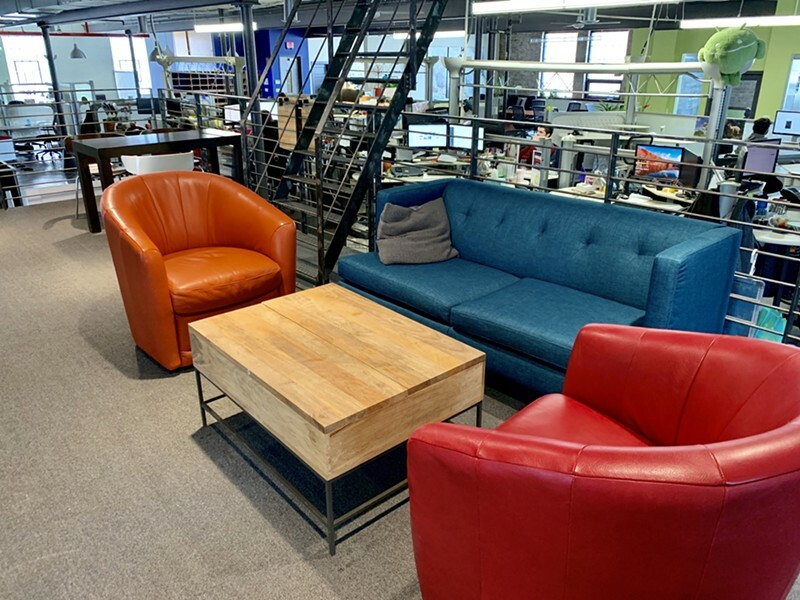 That’s where coworking spaces can be a godsend, with membership levels ranging from day pass to dedicated desk, 24/7 access, comfy lounges and coffee pots. In 2015, when the word and phenomenon had existed for a decade and the number of coworking facilities had doubled every year, Harvard Business School published a study indicating what coworkers already knew intrinsically: getting out of our pajamas and face-to-face with one another helps humans to thrive, and items like printers, whiteboards and conference rooms are a perfect fit with the sharing economy. Beahive in Beacon, the OG Hudson Valley coworking space. 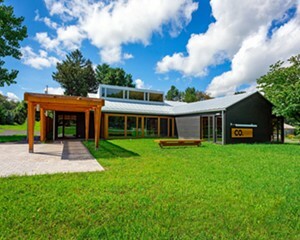 Beahive, founded in 2009, is the grandaddy of Hudson Valley coworking organizations. The flagship location, an artisan-renovated 1907 Bell Telephone building on Main Street in Beacon, is a buzzing hub where you can tap into organizations like Re>Think Local, the Green Beacon Coalition and Beacon SURJ / Showing Up for Racial Justice There’s already another hive buzzing in Albany, and two more slated to open this year. BEAHIVE provides a member-powered work environment for locally focused entrepreneurs, creatives, consultants, and microbusinesses. Located in the stately brick Senate Garage, CoWork Kingston offers a choice Uptown Kingston location fitted with chic, comfy workspaces and office areas. Located beside the lush, landscaped Senate House grounds and within walking distance of dozens of bars, restaurants, boutiques and coffee shops, Cowork Kingston’s prime spot offers plenty to keep you stimulated during your lunch break. Plus, after hours, the building offers a rich slew of programming ranging from tech meetups to tango classes. An imposing brick Federal building on Main Street in New Paltz, One EPIC Place offers communal coworking spaces as well as nine private rooms for rent, each tailored to different professions. The Studio offers a well-tuned piano and conference table, while the marigold-toned Sunshine room has a massage table. Designed to help you stay on track and inspired, the facility’s got a client waiting room and hosts game nights, workouts, yoga and wisdom circles for members. Rent a la carte or become a member. Purpose Cooperative in Philmont hosts GSD (Get Sh*t Done) hours and even entire Monday nights dedicated to “the boring & hard tasks that are more fun to do with friends.” There are budget-friendly off-peak memberships and workshops on managing money and time along with the 40 Mbps internet, phone booths for private meetings, and other comforts. Located in a 4,000-square-foot former furniture store, CO boasts an eye-popping redesign. 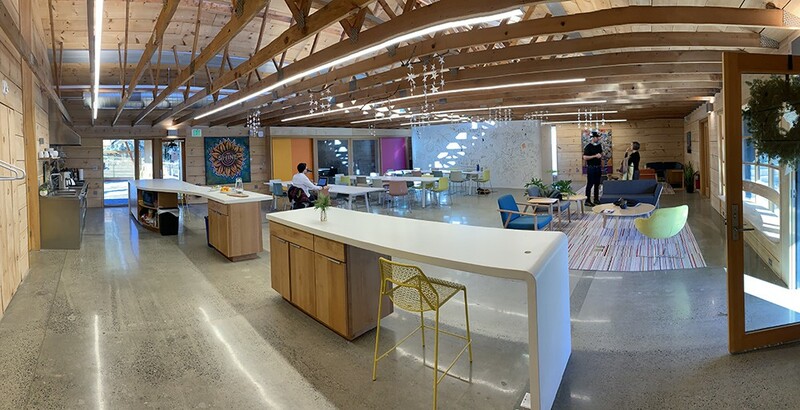 The open-plan space is outfitted with long tables and comfy lounge areas, phone booths, event spaces, and conference rooms with whiteboard walls. A patio, communal kitchen, and nearby walking trails are aimed at improving quality of life. Daily, part-time or full-time memberships mean that you can work in a variety of shared spaces, or at your own dedicated desk. You can also exchange services for CO time or join the co-op and get profit-sharing and voting rights. 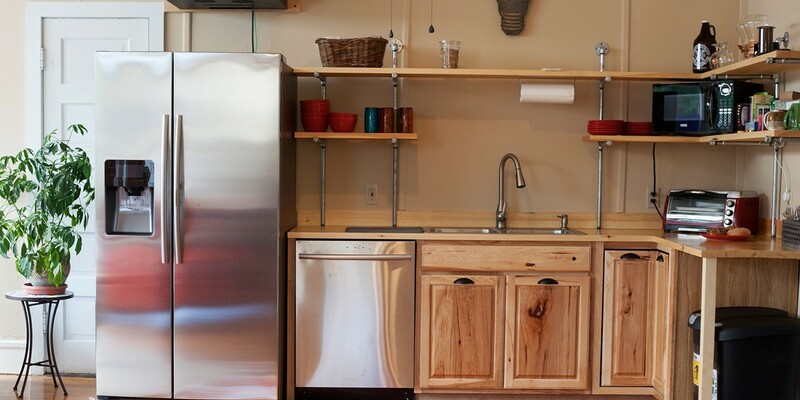 The communal kitchen at Chatham Coworker. Chatham Coworker is a light-filled, warm, and colorful space in a walkable, historic downtown packed with indie retail, art, and good food. 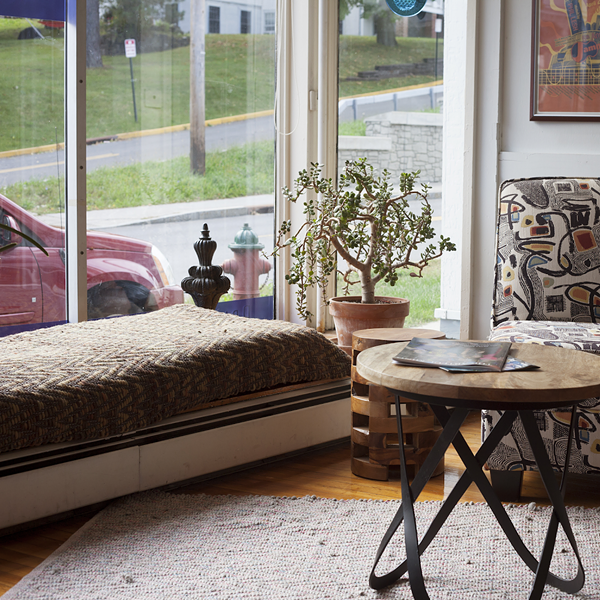 Since 2016, the Coworker has been offering all the modern professional amenities—lightning-fast broadband, ergonomic furnishings—to “upstate digital nomads and teleworkers” of all stripes. 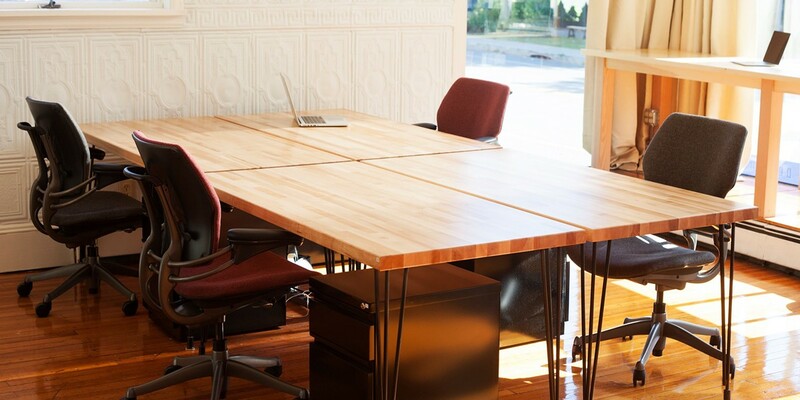 This Columbia County coworking space provides desk and room rentals at per-diem and monthly rates.